A couple of days ago, I kindly received a package through the post from Buffalo Brownies. 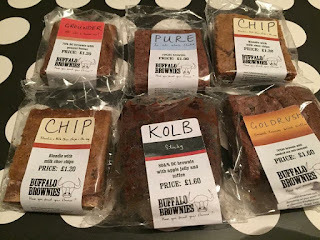 I first came across Buffalo Brownies when I went to Ilkeston Food Fair a few weeks ago (you can view that post here) where I was able to try a few samples and I fell in love. If you haven't heard of Buffalo Brownies before, they are based in Derbyshire and create a range of American inspired sweet treats such as Brownies (obviously), Blondies and Crownies. I decided this one would be good to start with as it's a classic. I wasn't disappointed. The 70% has the perfect richness with a nice crisp on the top and so soft inside. 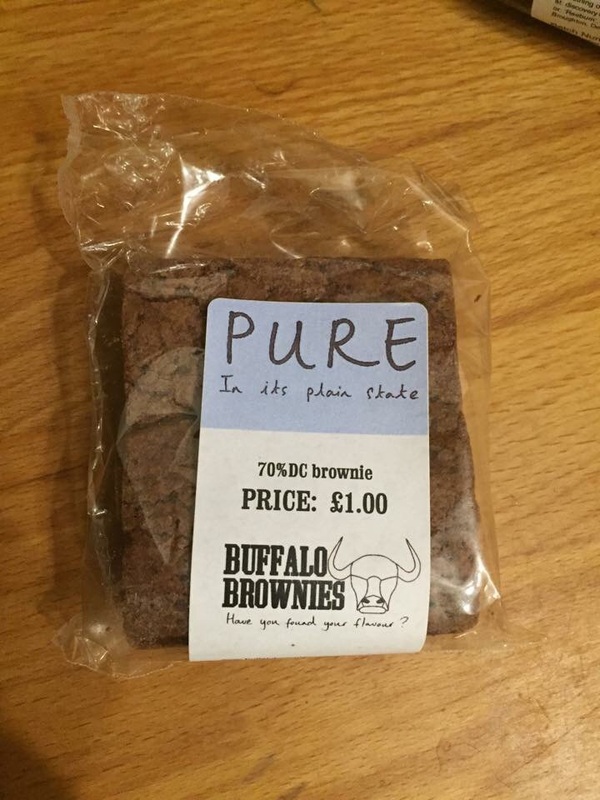 This Brownie was to die for! By far the best brownie ever! Inside this brownie lies a layer of silky smooth caramel. The two go together amazingly. Salted caramel is very popular at the moment and I can see why when there are creations as good as this! Coming in at the most expensive, it is worth the extra for sure. I actually got two of these within my box of goodies which was no problem at all with me as up until trying the Goldrush, this one was my favourite. It still is a favourite but in a different way as this is a Blondie. 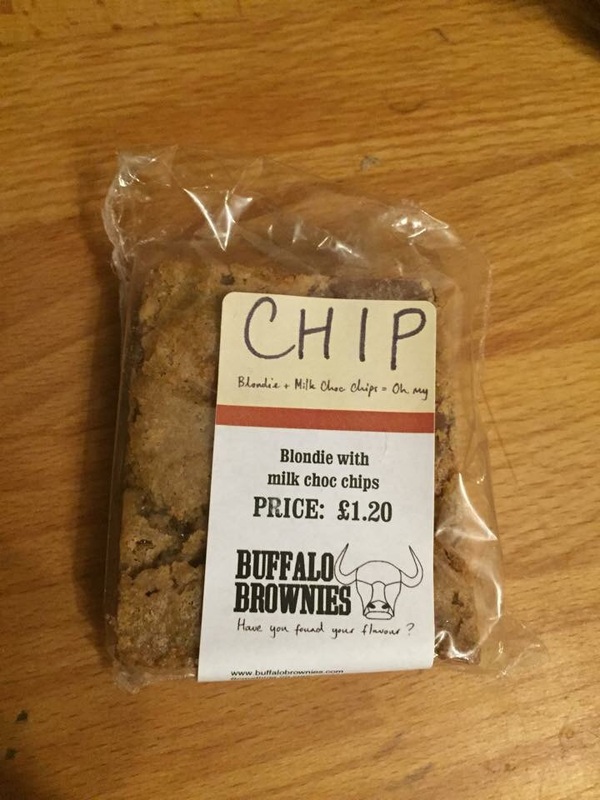 A blondie is exactly the same as a Brownie minus the chocolate. 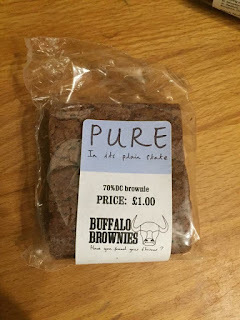 It makes the taste kind of fudge-like which is lovely. 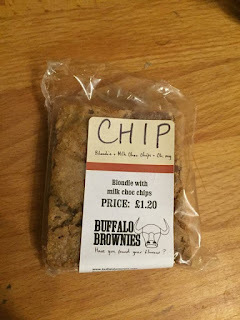 The milk chocolate chips in these are more like chunks, they are huge - so that's a bonus! I've only actually tried peanut butter once before believe it or not! 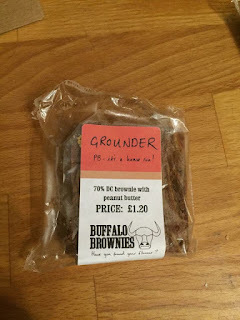 With this brownie, I found that the chocolate/peanut flavours were very nicely balanced. 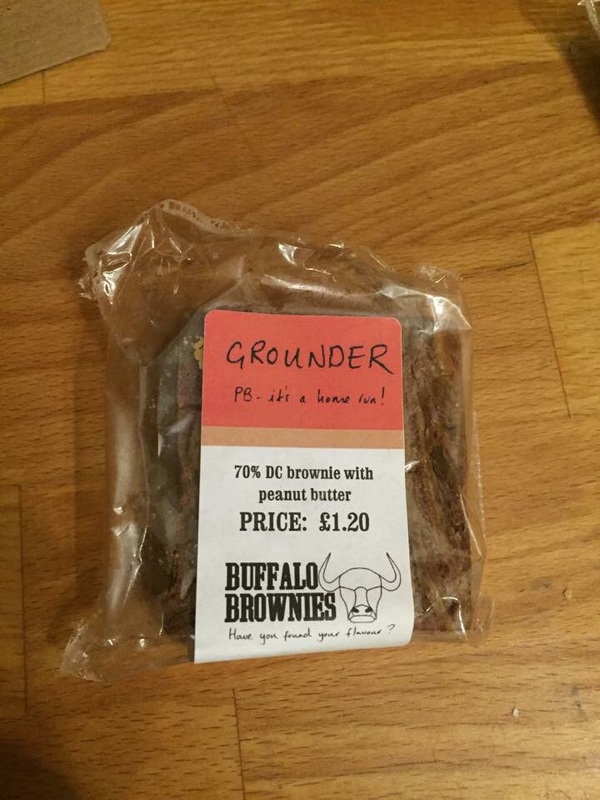 The peanut butter wasn't too overpowering but the flavours came through well which was great. I'll be honest, my first impression was not that great which is why I left this one until last. But, I was very pleasantly surprised. 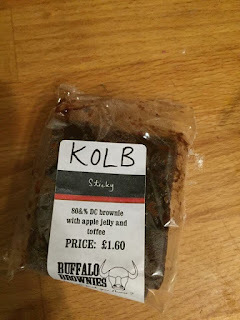 This brownie is a lot more moist than the others which was a nice change and the apple jelly/ toffee filling works very well together. I'm sorry I doubted you Kolb. All of the brownies that I tried have amazing textures. They are thick and gooey but don't stick to your mouth if that makes sense? They may seem a little pricey at first, but they are so worth the money once you've had one. 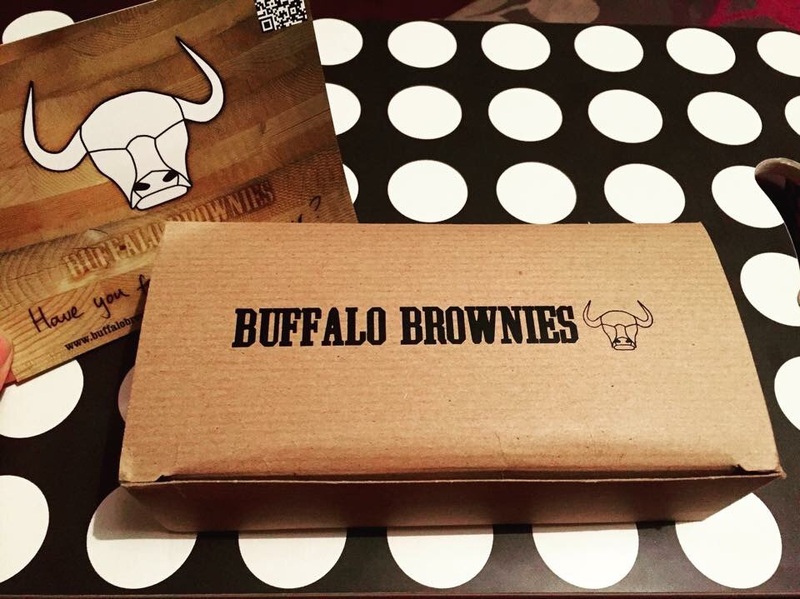 If you'd like to purchase some Buffalo Brownies, you don't have to live in Derbyshire... you can either visit their online shop http://www.buffalobrownies.com/the-range and have them delivered directly to your door. Or, if you do live locally, you can always buy from one of the local stockists which can also be found on the website. 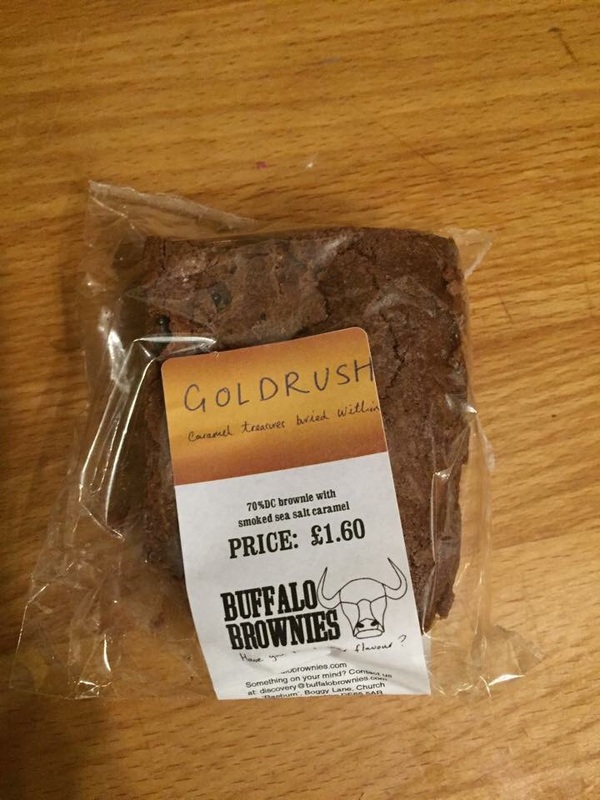 I'll definitely be getting some more Buffalo Brownies soon, if you haven't tried them already then you are missing out big time!